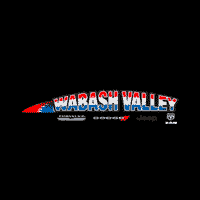 Contact Wabash Valley Jeep offers great savings on new 2018 and 2019 Jeep models to end the Summer in style during the Summer of Jeep near Kokomo, IN. Stop by this Jeep dealer to test drive a 2018 Jeep Cherokee Limited 4X4 or the 2019 Jeep Cherokee Latitude Plus 4X4 and experience the best Jeep has to offer. Save big just in time for back-to-school activities and give your family the stylish SUV you need!